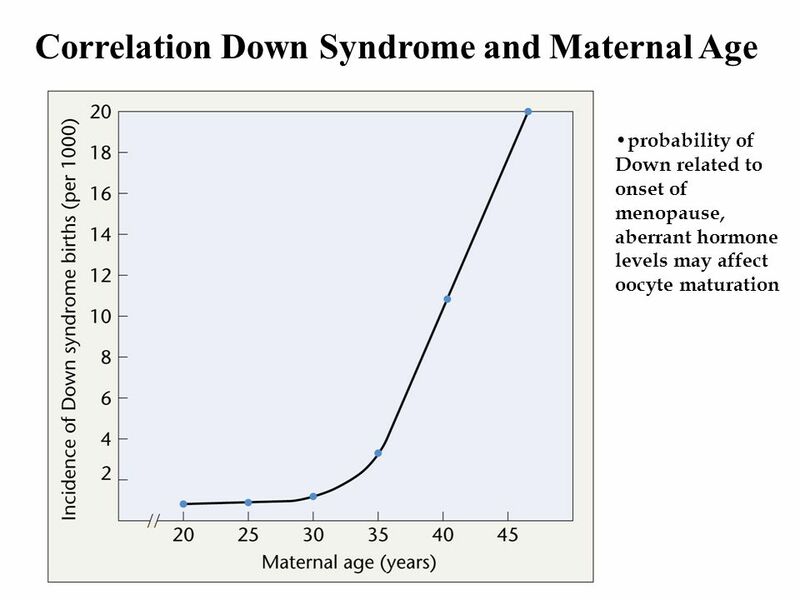 4 GENERAL INFORMATION Down caused by non-disjunction of chromosome 21, correlated with age of mother and onset of menopause. 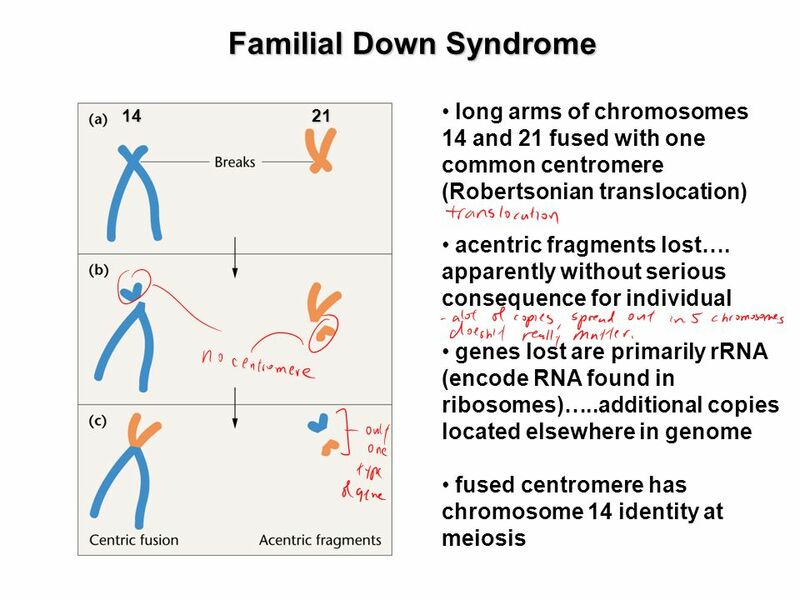 Down also caused by attaching chromosome 21 to 14 (translocation), referred to as familial Downs. Amniocentesis and chorionic villi sampling developed because of defects such as Down. Newer, not yet perfected technology, samples fetal cells from maternal circulation. Once fully developed this method will be safer because it is not invasive. 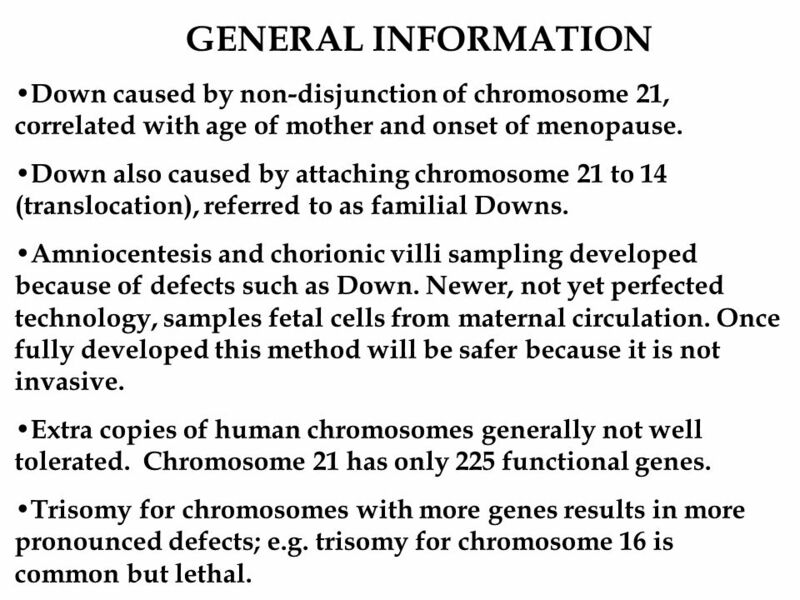 Extra copies of human chromosomes generally not well tolerated. 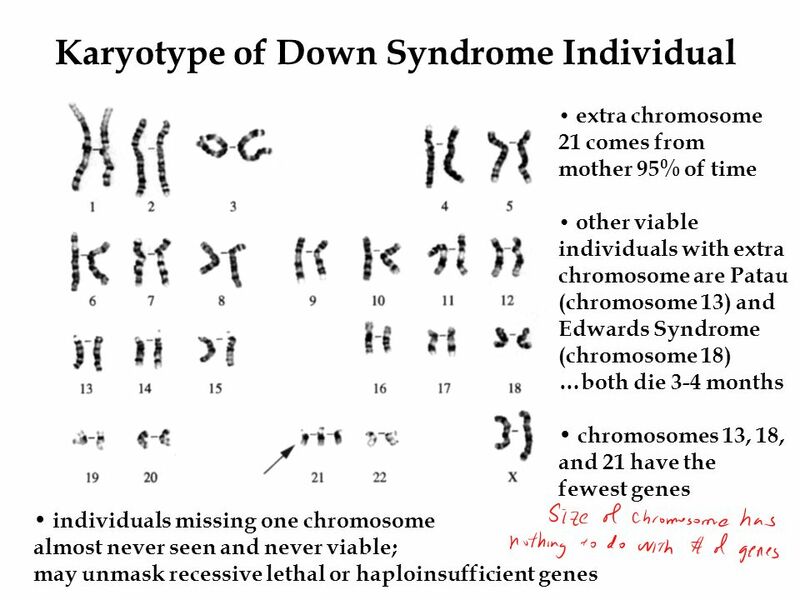 Chromosome 21 has only 225 functional genes. 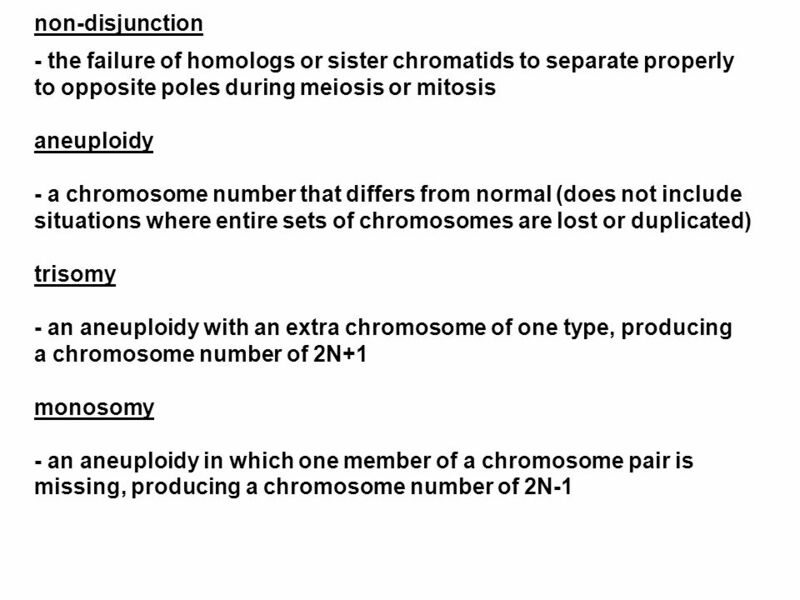 Trisomy for chromosomes with more genes results in more pronounced defects; e.g. 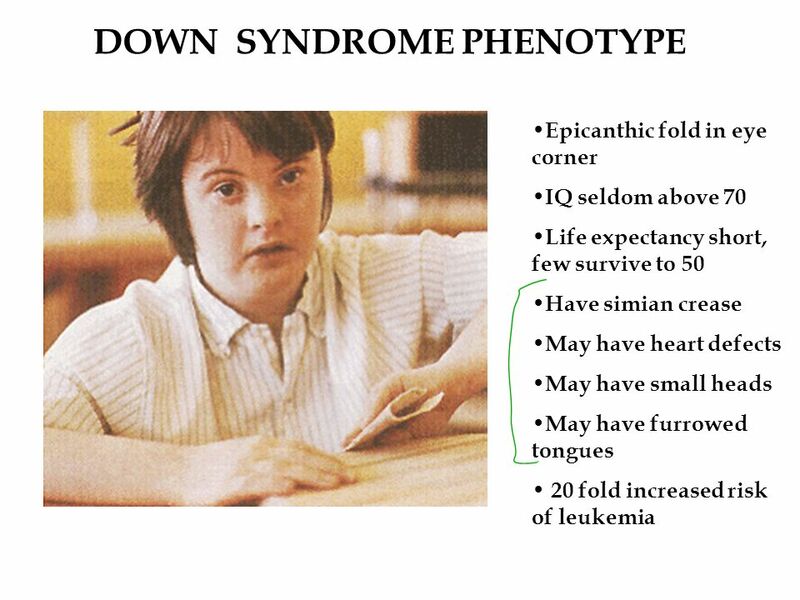 trisomy for chromosome 16 is common but lethal. © 2009 NHS National Genetics Education and Development CentreGenetics and Genomics for Healthcare Conditions caused by anomalies. Lecture 40 Prof Duncan Shaw. Types of genetic tests 1. 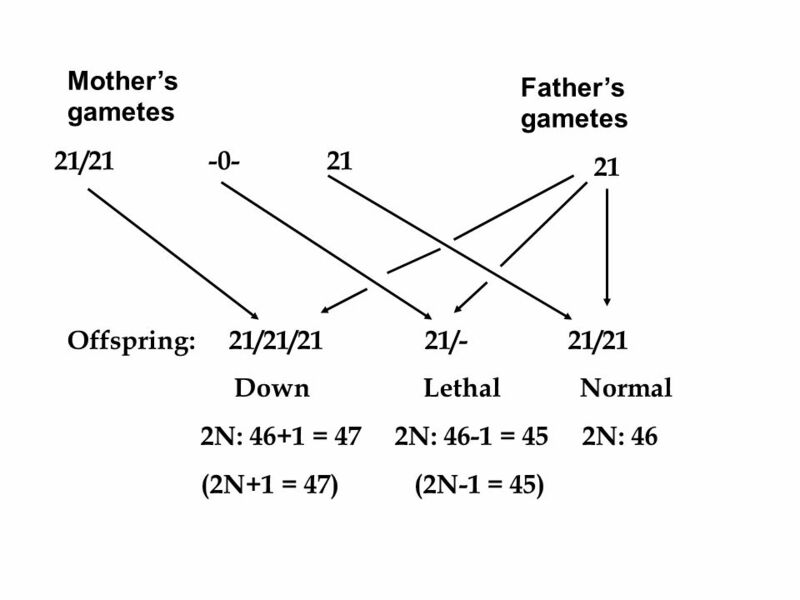 Cytogenetic 2. DNA 3. Metabolic. GENERAL GENETICS Ayesha M. Khan Spring 2013. Chapter 8. 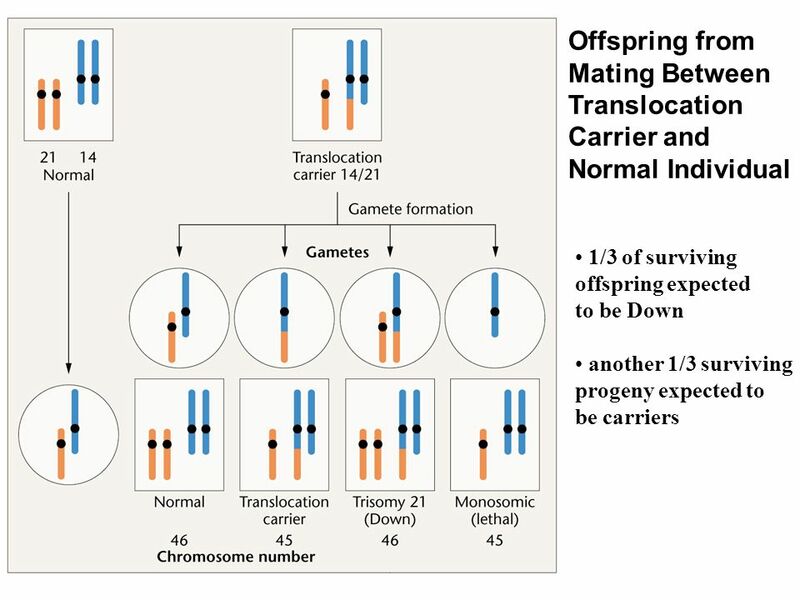  Asexual reproduction – new organisms/cells are genetically identical to parent cells/organisms  Sexual reproduction – offspring have a combination. 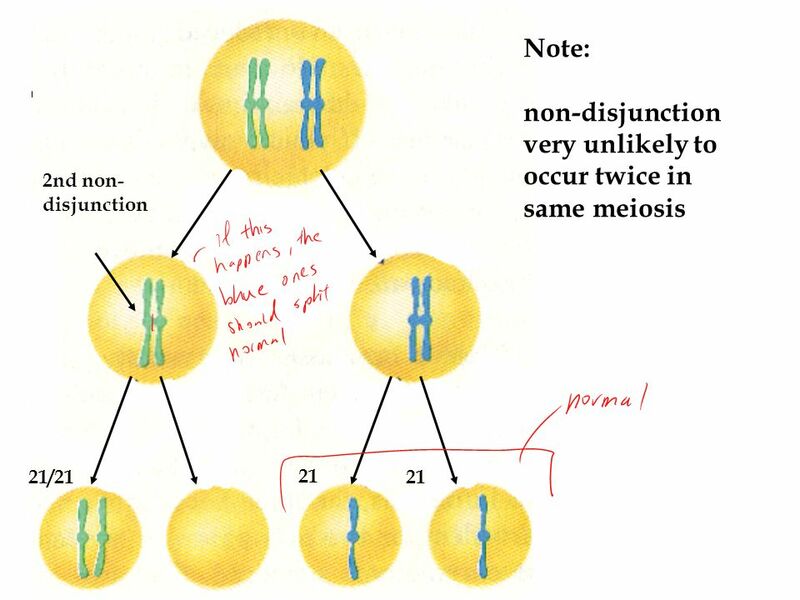 (CHAPTER 8- Brooker Text) Chromosome Structure & Recombination Nov 1 & 6, 2007 BIO 184 Dr. Tom Peavy. 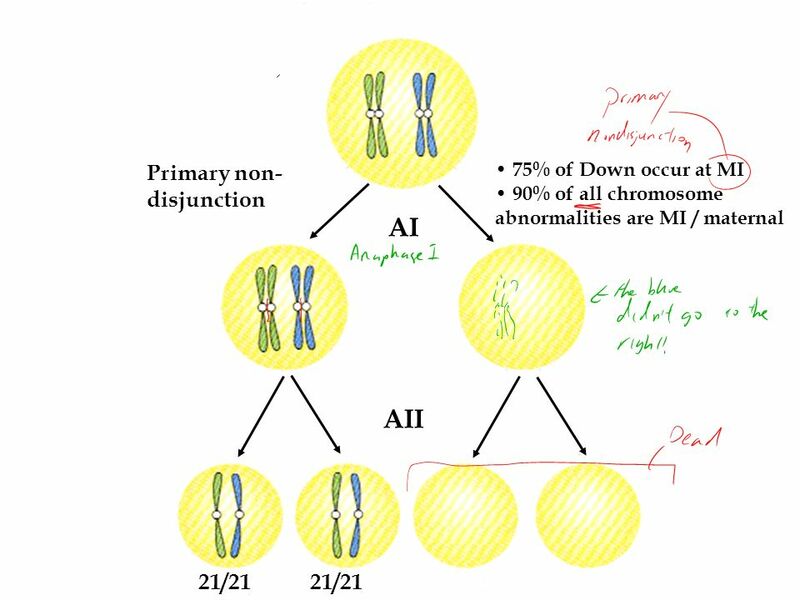 ANEUPLOIDY Having too many or too few chromosomes compared to a normal genotype Aneuploid organisms have unbalanced sets of chromosomes due to an excess. Karyotypes Karyotype = A display (picture) of all the chromosomes in the nucleus of a cell. 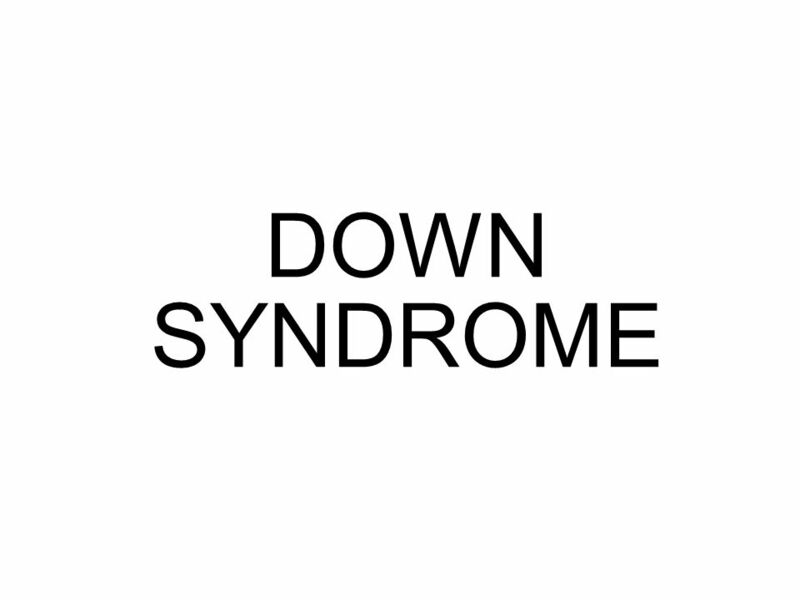 A display (picture) of all the chromosomes in the nucleus.